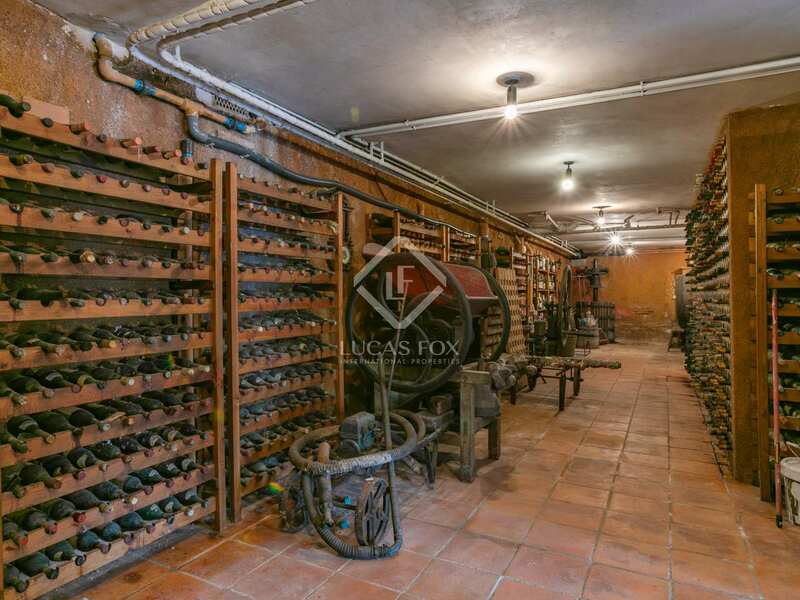 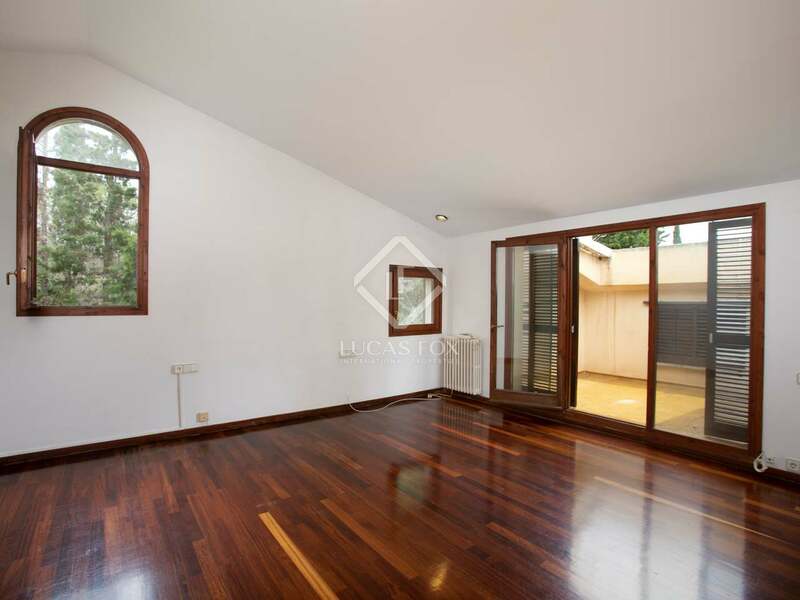 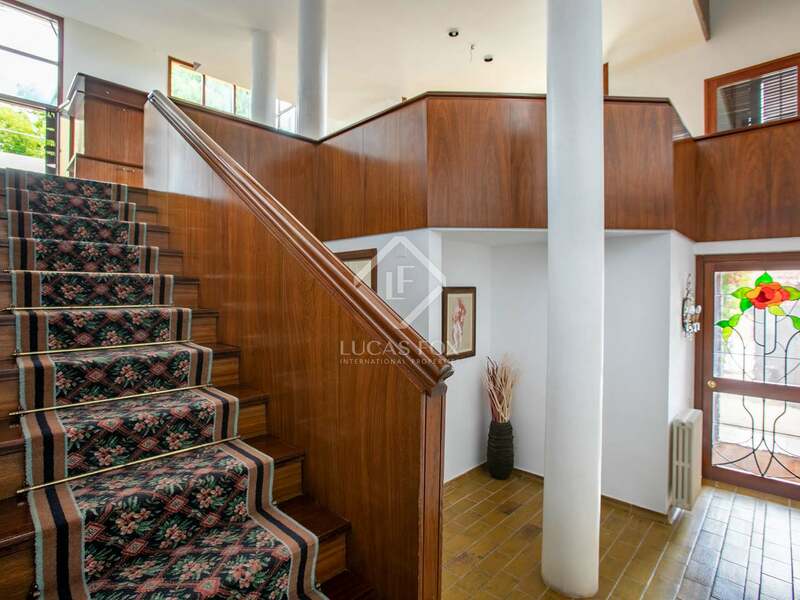 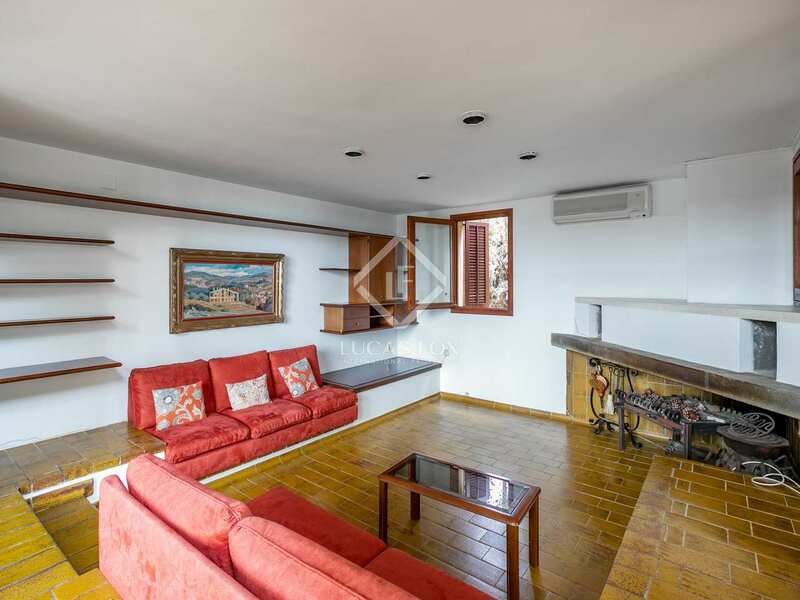 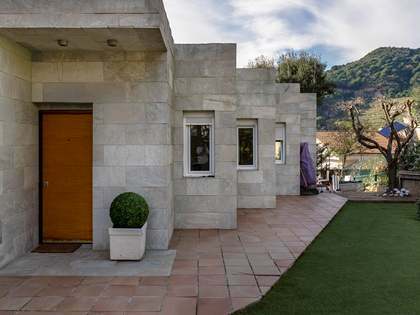 Masia style house with fantastic outdoor space and excellent renovation potential, for sale in Nova Alella. 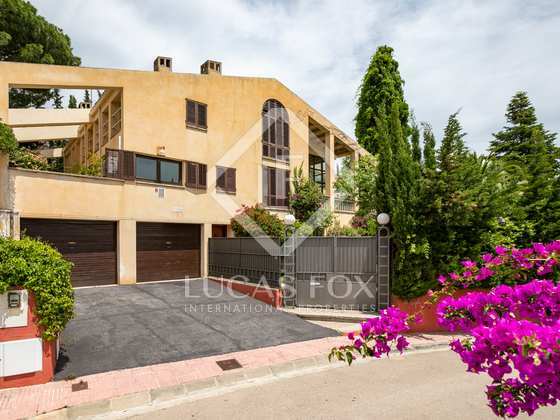 Located in the sought-after Nova Alella residential area, walking distance to the centre of the village, this attractive family home is in a peaceful yet convenient location, 20 minutes by car from Barcelona. 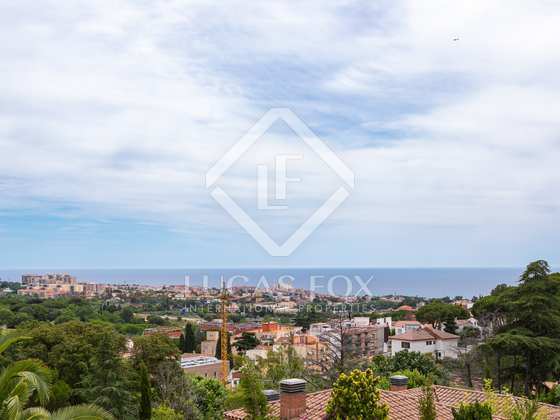 The property offers excellent renovation potential, perfect for those wishing to create their dream home on the beautiful Maresme coast. 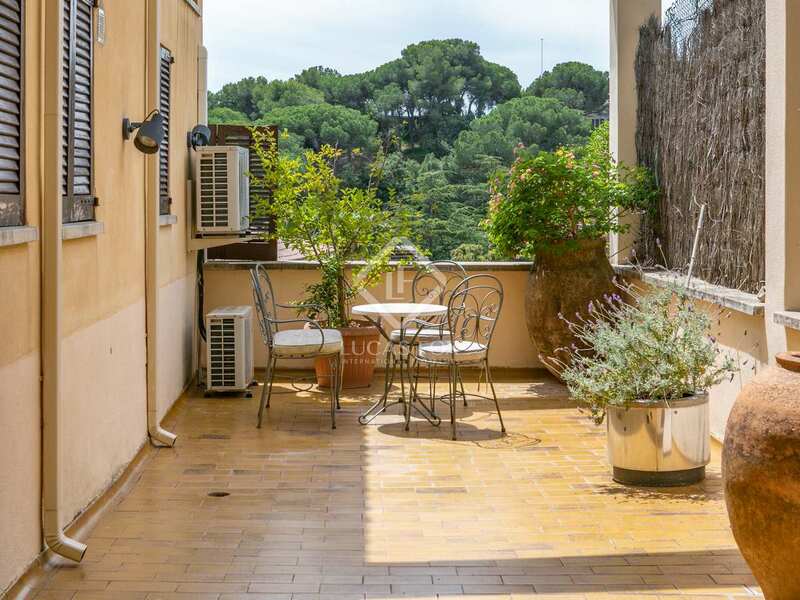 Distributed across 3 floors, on the ground floor there is a total of 4 double bedrooms, 1 of which has an en-suite bathroom and 1 an en-suite shower. 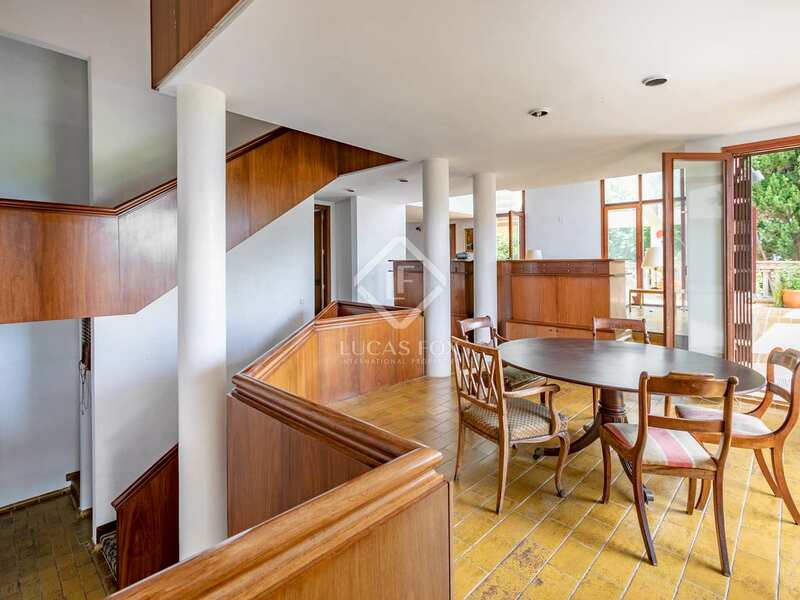 The main living spaces are on the first floor. 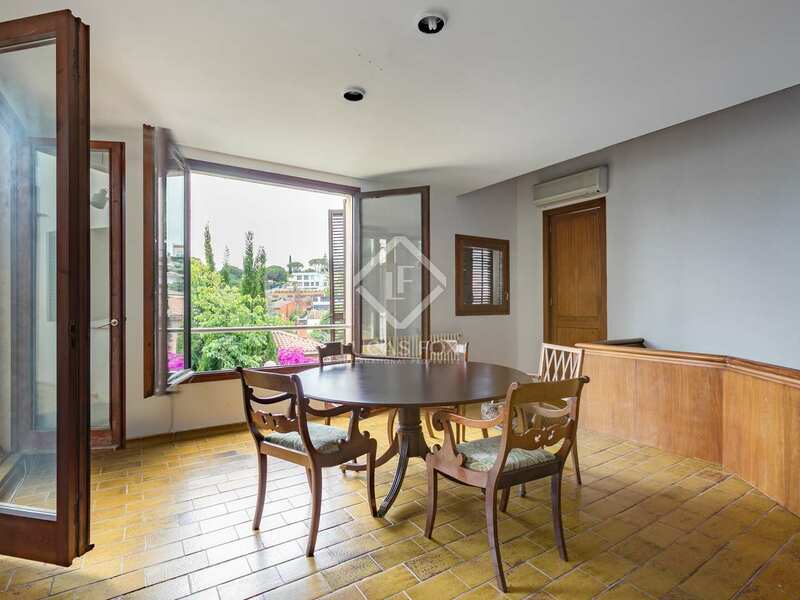 These include the living-dining area with a fireplace and patio doors opening onto the terrace, the perfect space for dining outdoors. 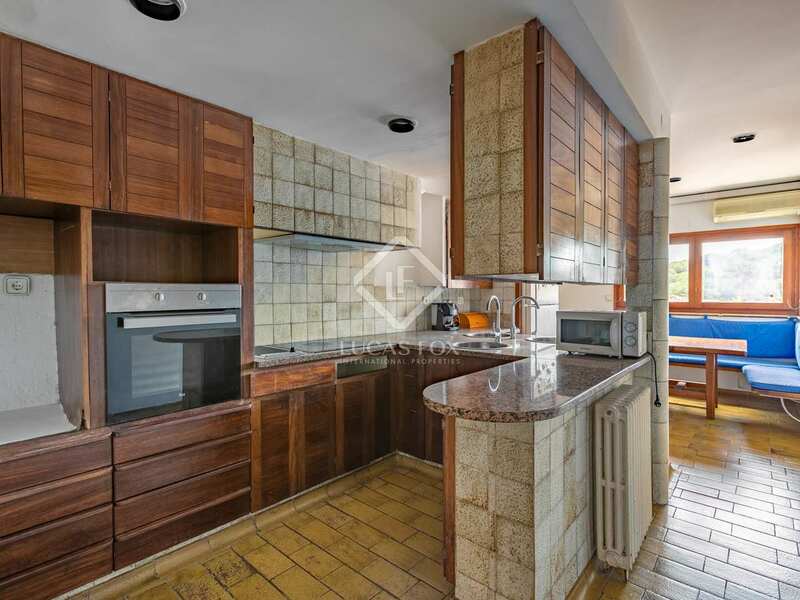 The kitchen is well equipped and has a pleasant breakfast area. 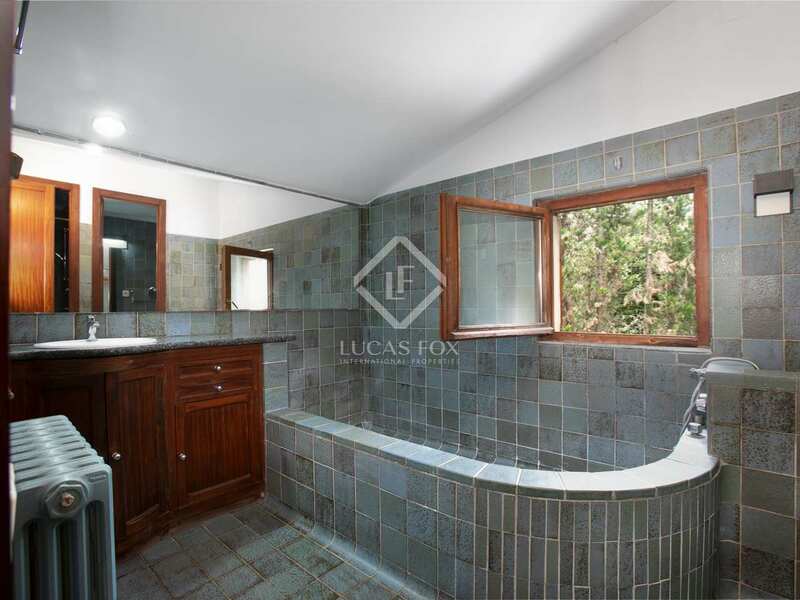 A service bedroom with en-suite bathroom, guest toilet and laundry room complete the ground floor. 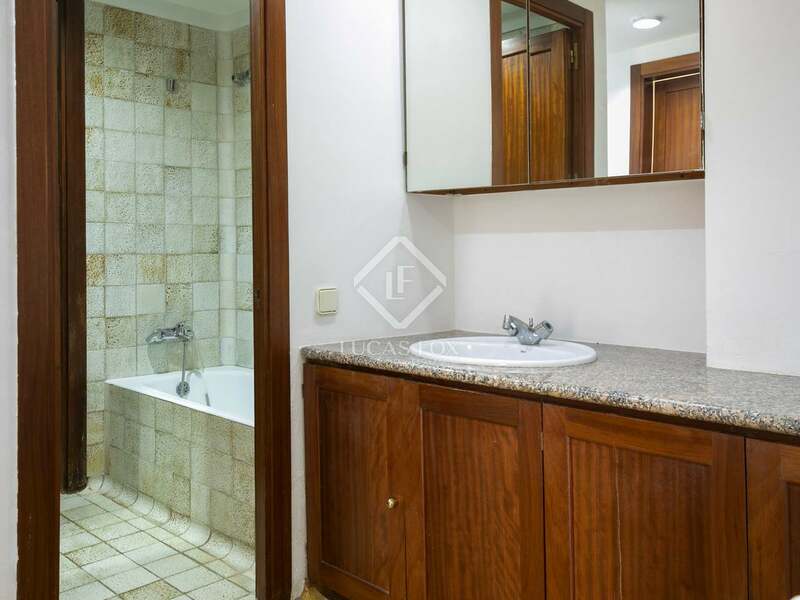 On the second floor we find the master bedroom with an en-suite bathroom which includes a shower and bathtub, this bedroom also has a dressing room. 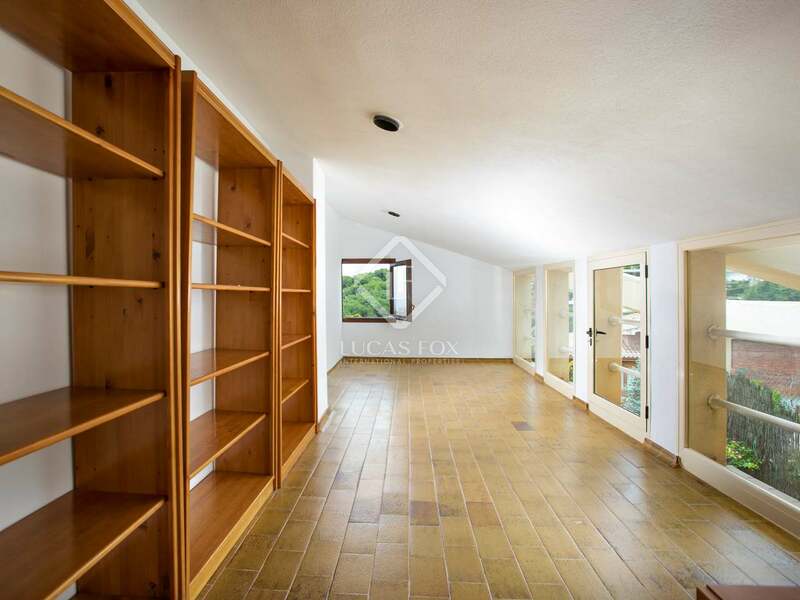 Another room on this floor could be used as an additional bedroom or alternatively as a convenient storage room. 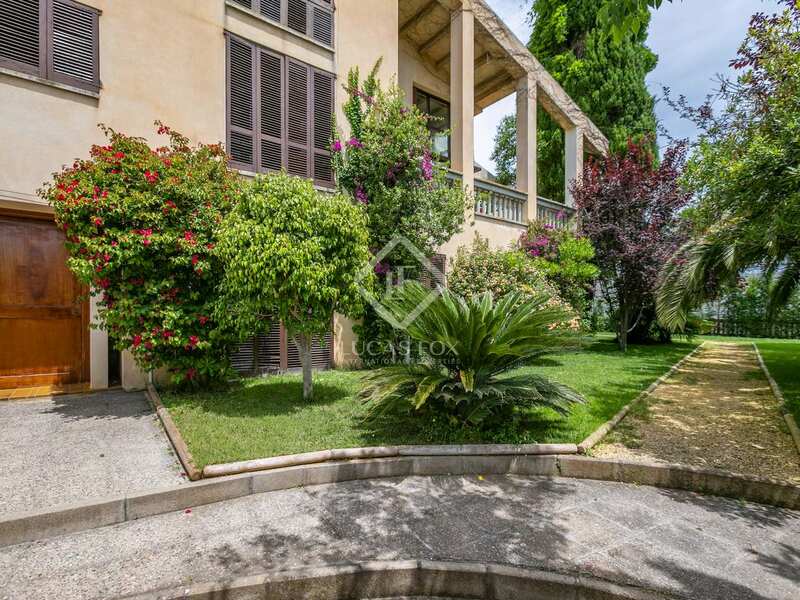 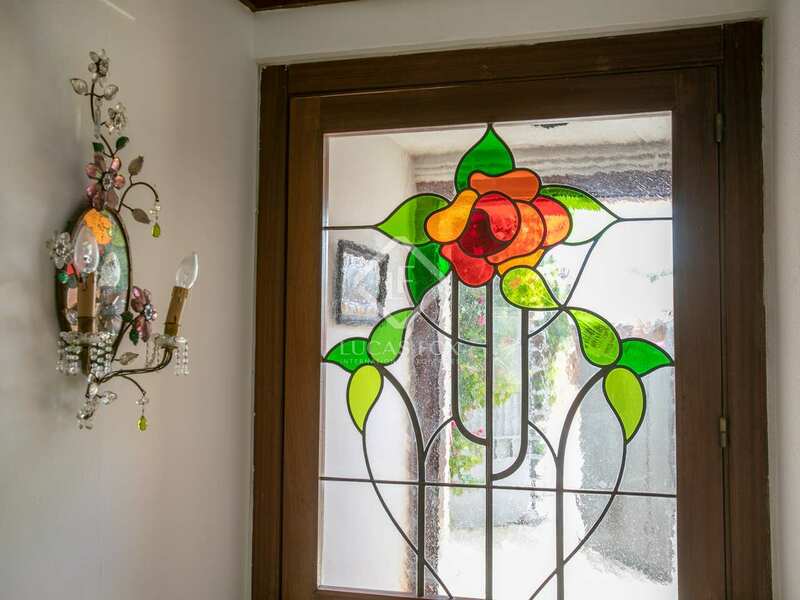 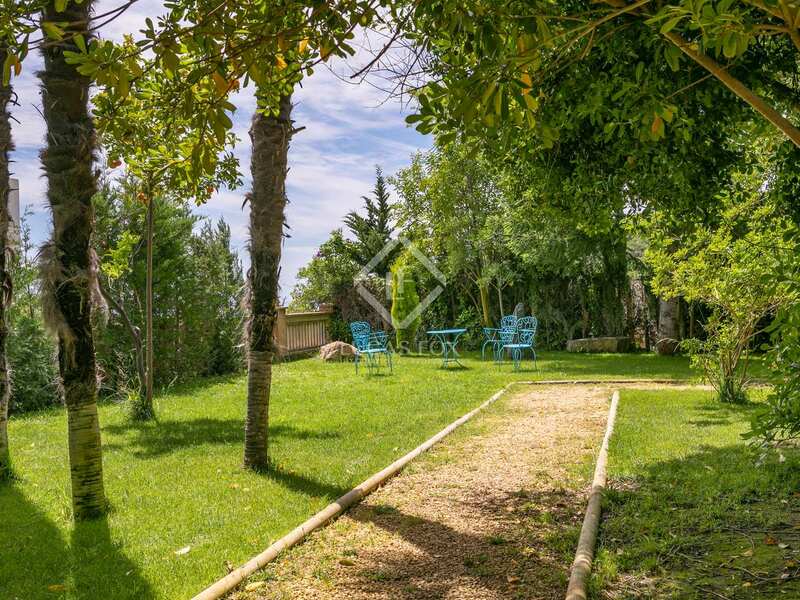 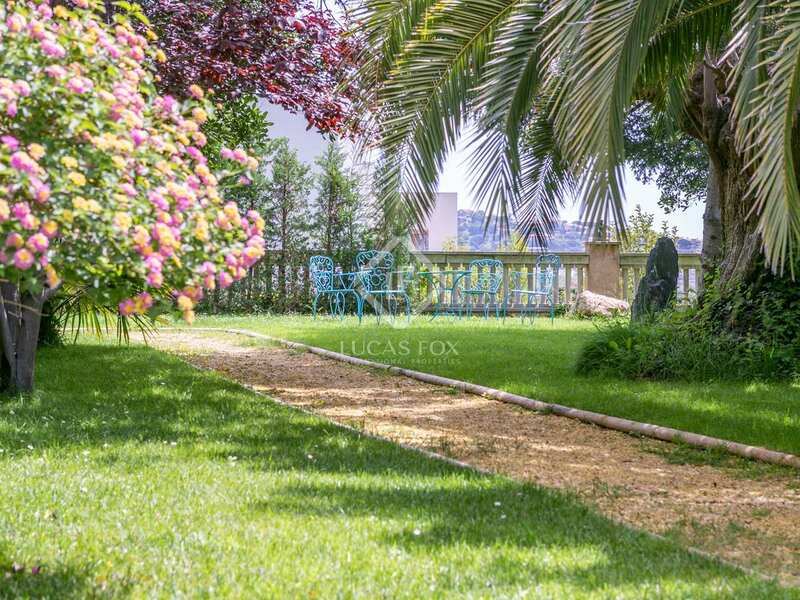 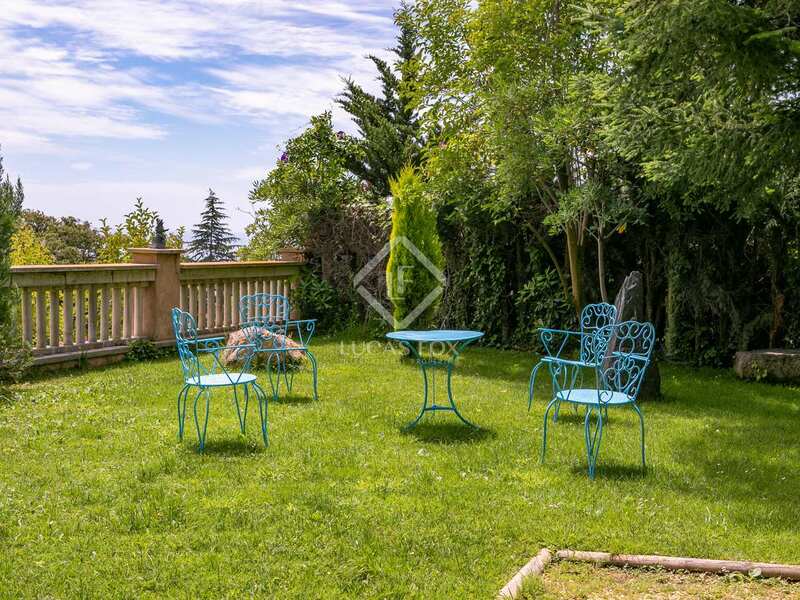 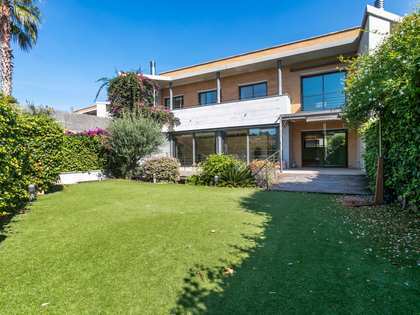 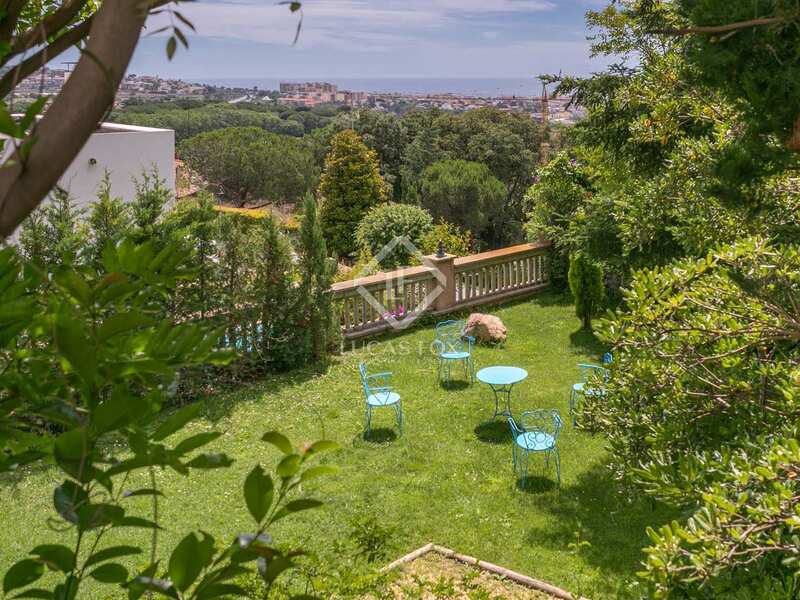 The property boasts excellent outdoor space, the plot of 900m² includes a garden with a lawn, perfect for making the most of the fantastic climate, as well as fruit trees. 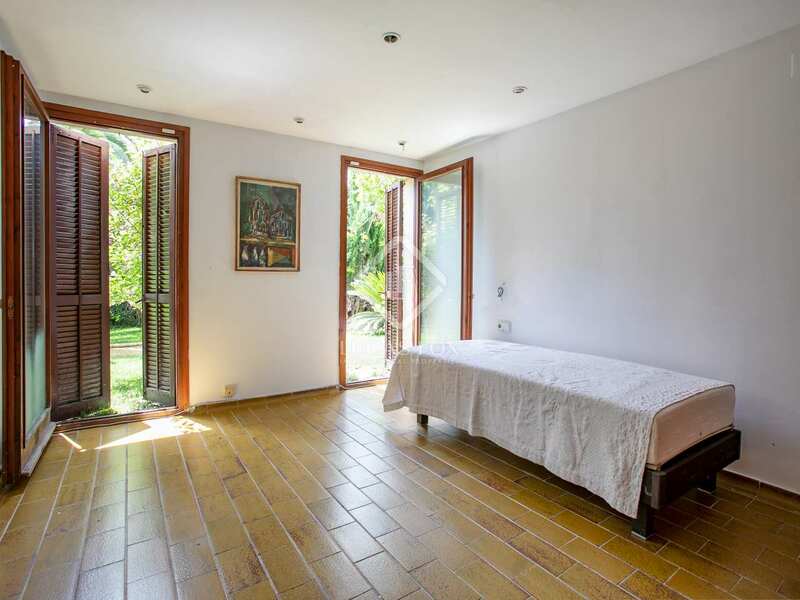 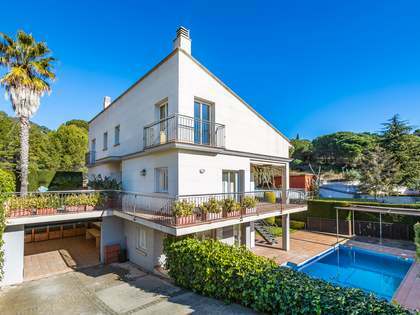 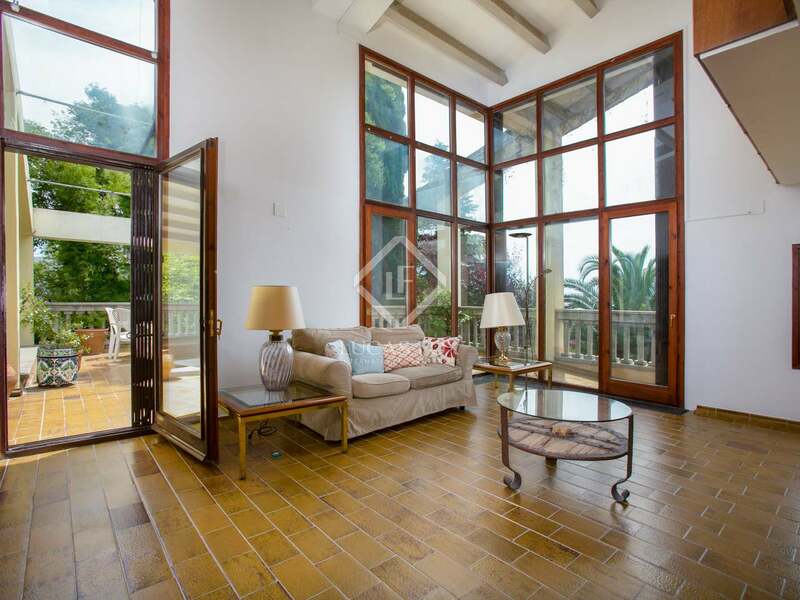 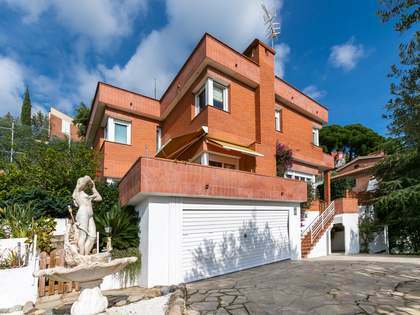 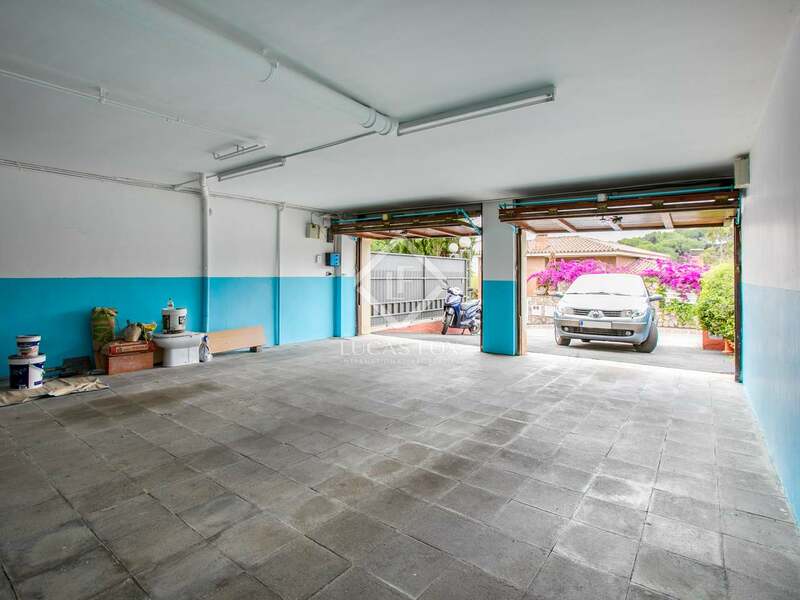 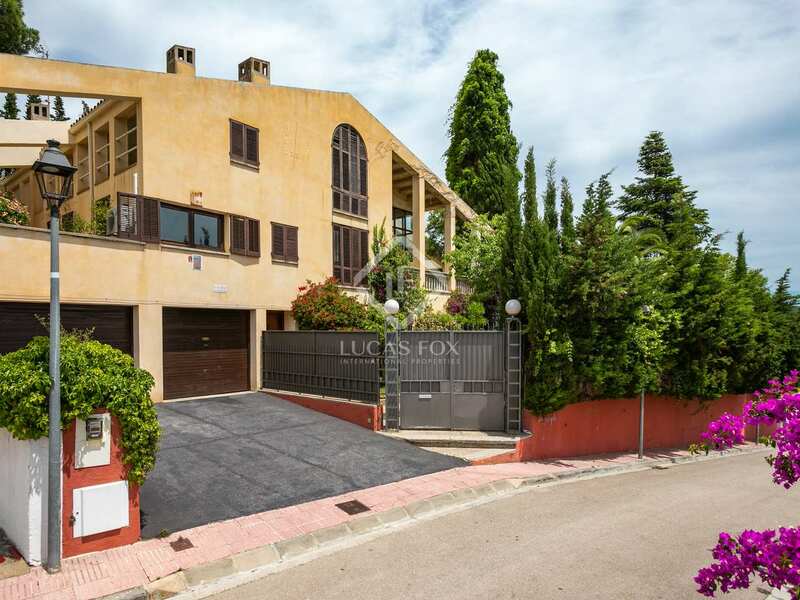 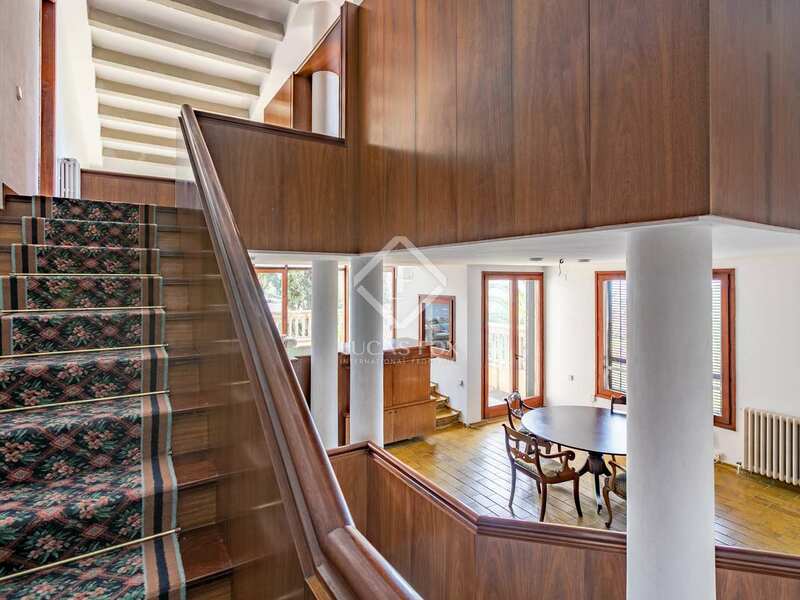 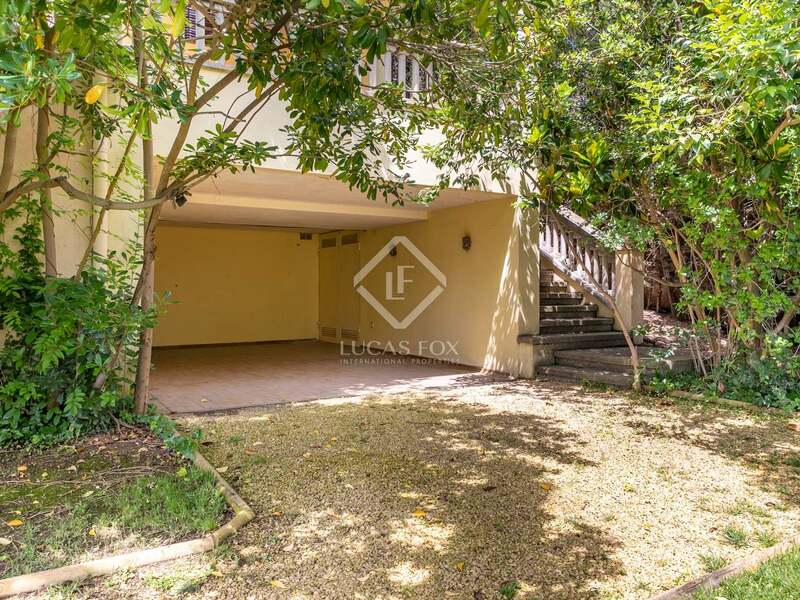 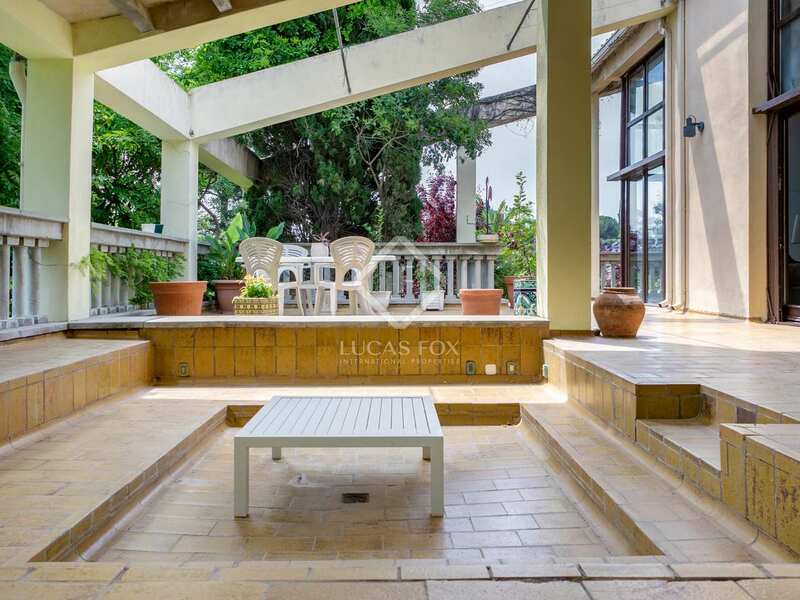 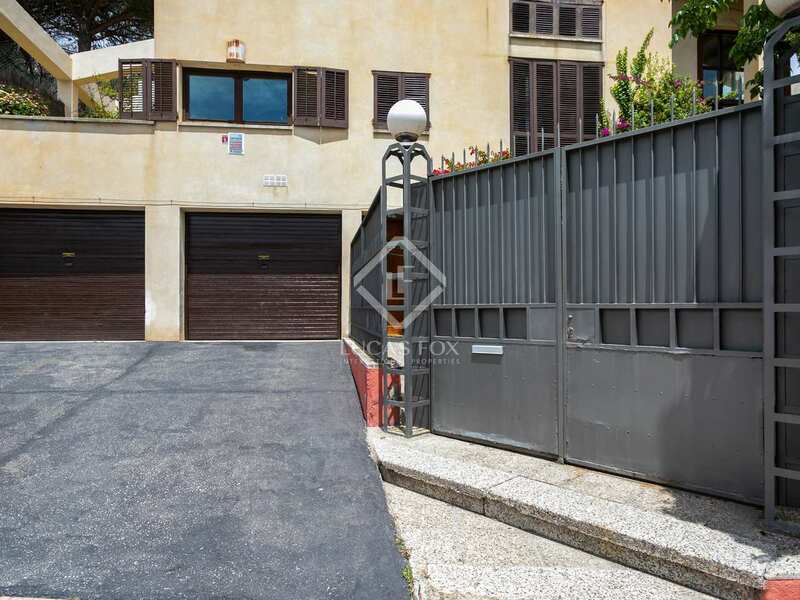 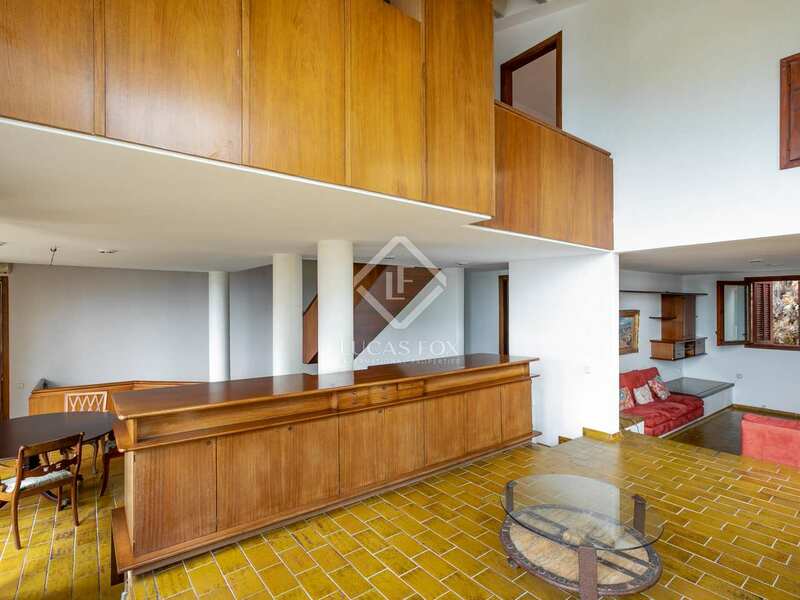 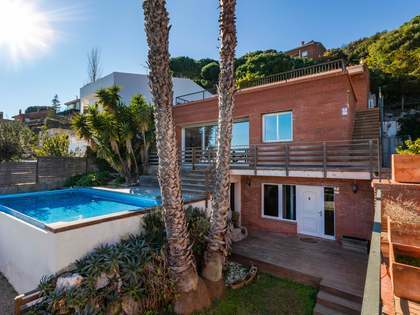 The ideal property for those seeking a spacious family home on the Maresme coast with excellent outdoor space and fantastic renovation potential. 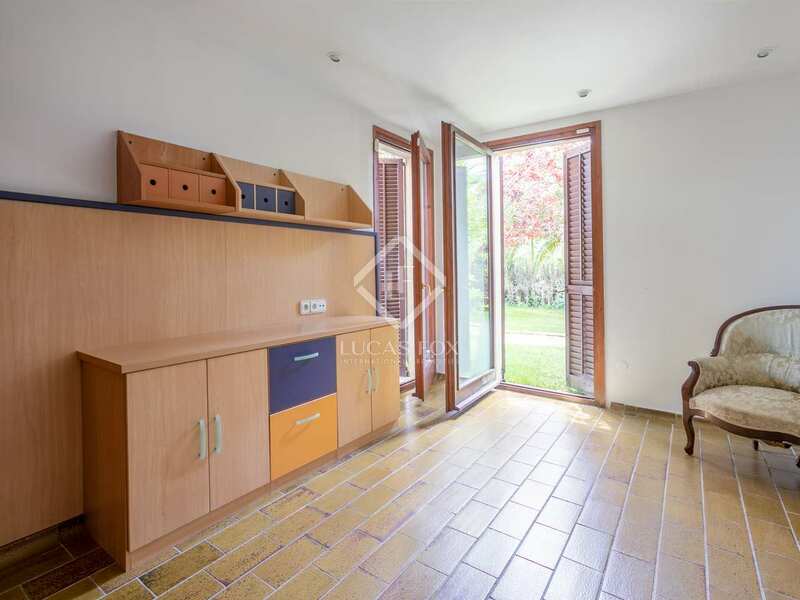 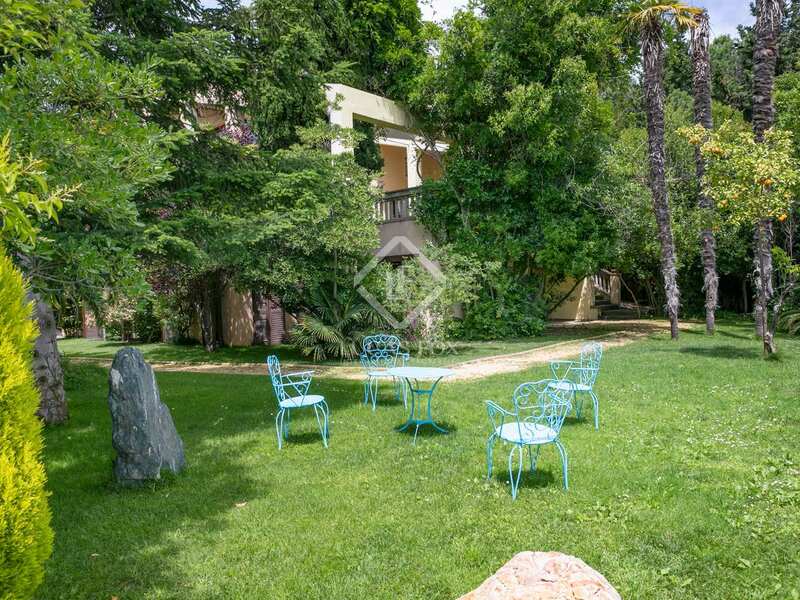 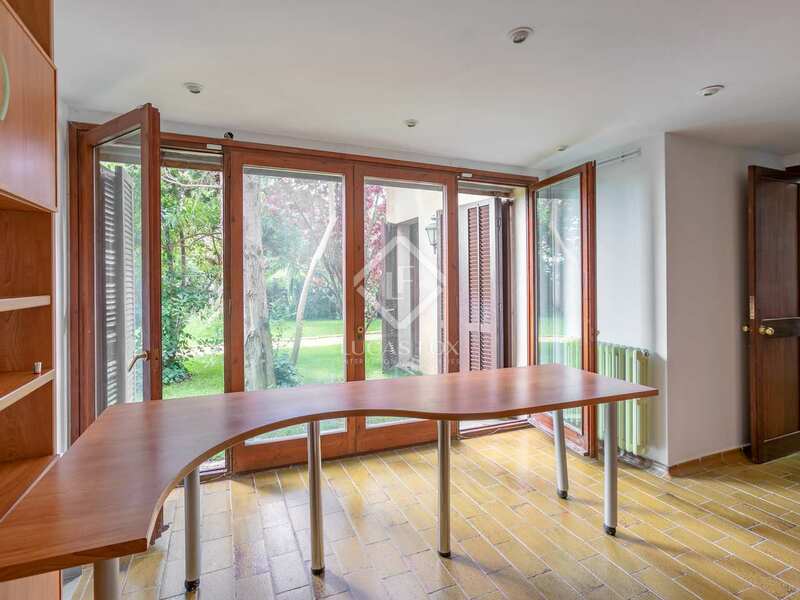 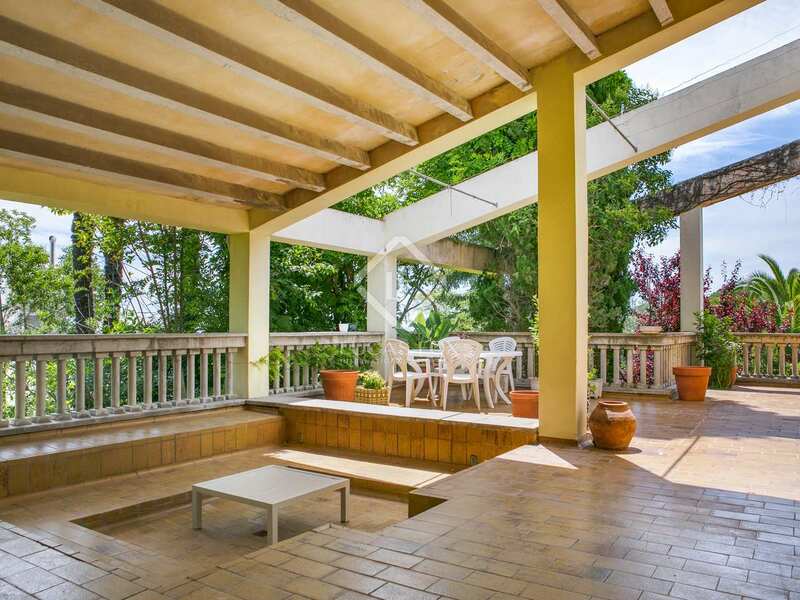 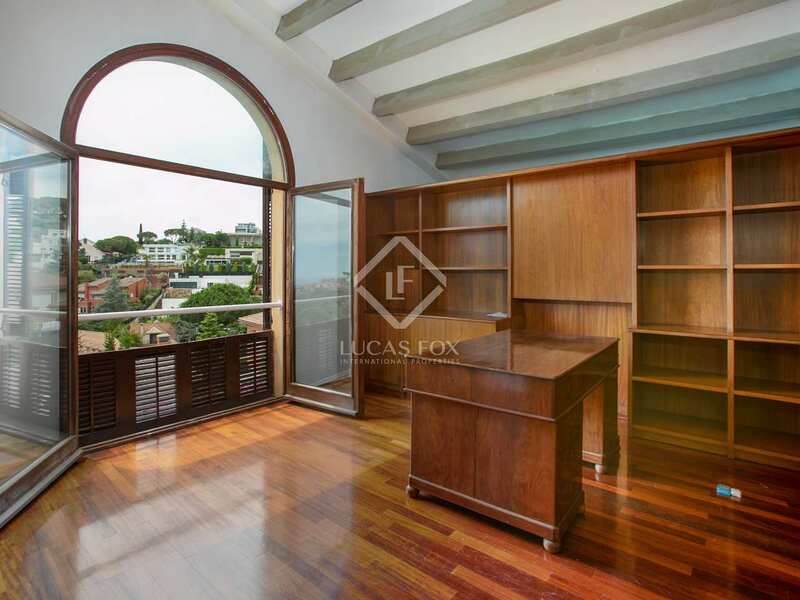 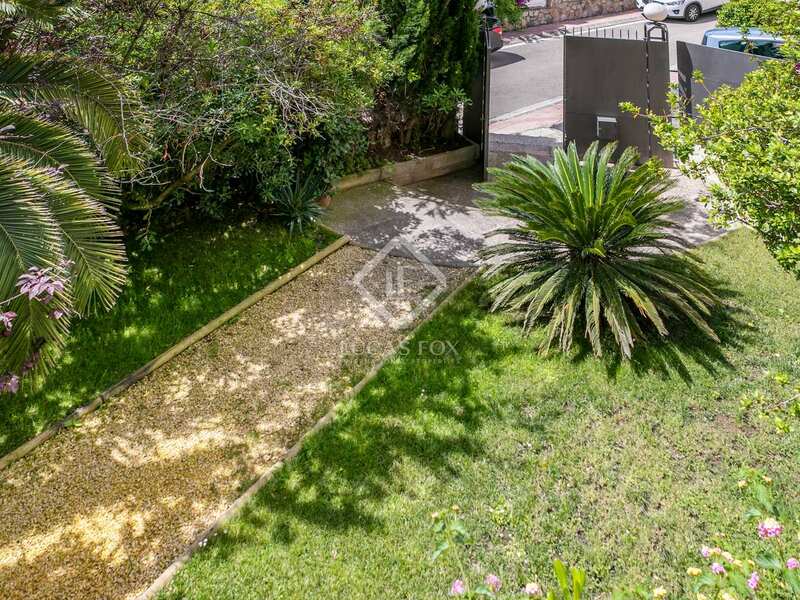 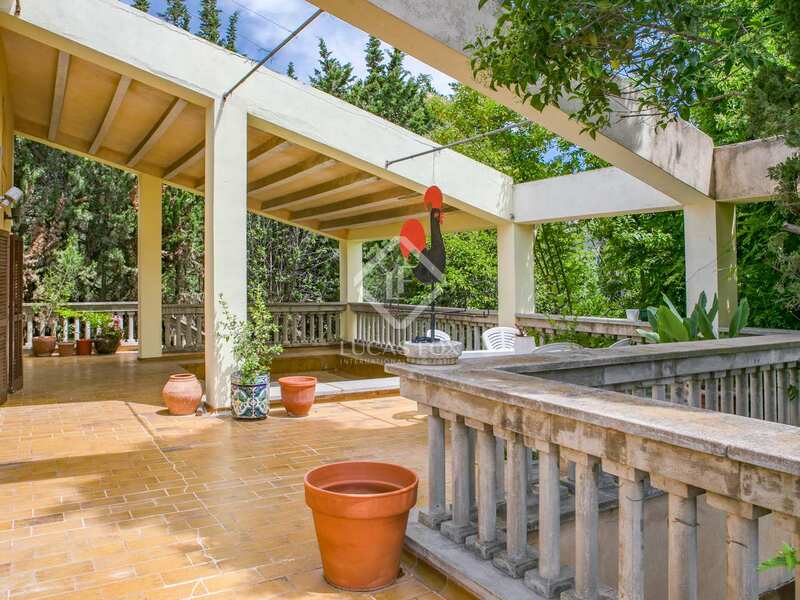 Property located in the peaceful Nova Alella residential area, walking distance from the centre of Alella village where there is a wide range of services and restaurants. 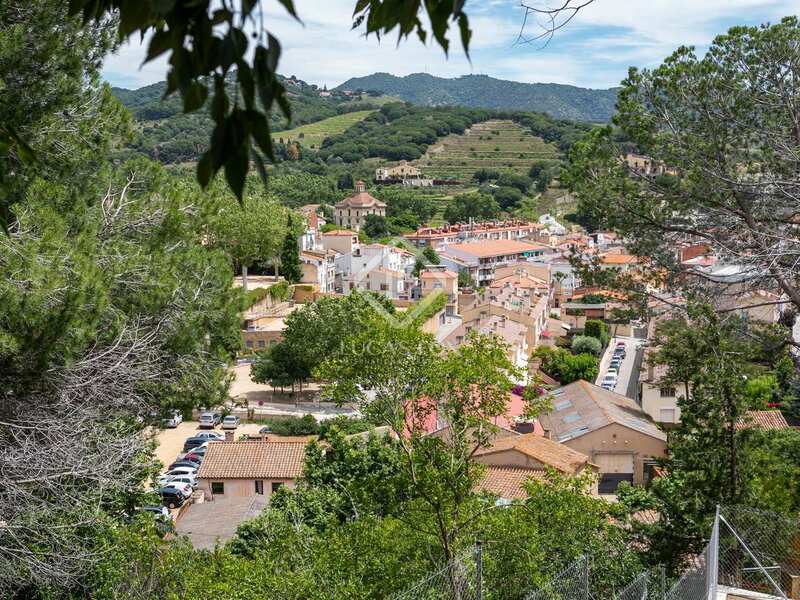 Barcelona can be reached by car in just 20 minutes.